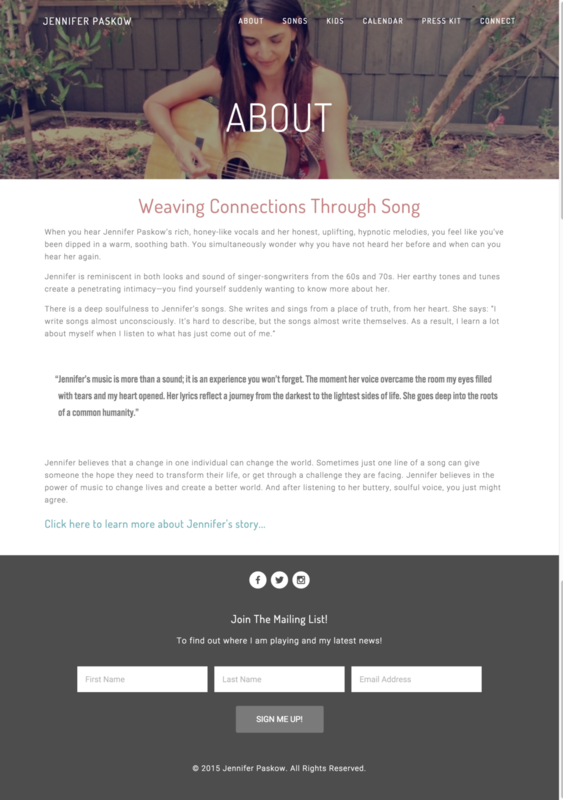 sevmedia was asked to re-do a web site for Jennifer, a singer-songwriter based in Los Angeles. Jennifer had recently been overfunded for an IndieGoGo campaign in support of Make a Circle - a beautiful and professionally recorded album of songs that will bring a message of love and self acceptance into schools, hospitals, community centers, yoga/spiritual centers and to people of all ages around the globe. The web site includes integration with the IndieGoGo campaign, a tie-in with other social media including SoundCloud to serve up her existing songs, plus a Newsletter via MailChimp, interactive maps of her classes, a Press Kit and more.